The blu inchiostro is a very beautiful transparent plum (purple) amethyst color over 24kt Gold Foil leaf which gives it a chocolate bronze look as the gold foil shines through the color. This authentic Murano Glass bead cube measures approximately 10mm by 10mm with a 1mm hole through the center. 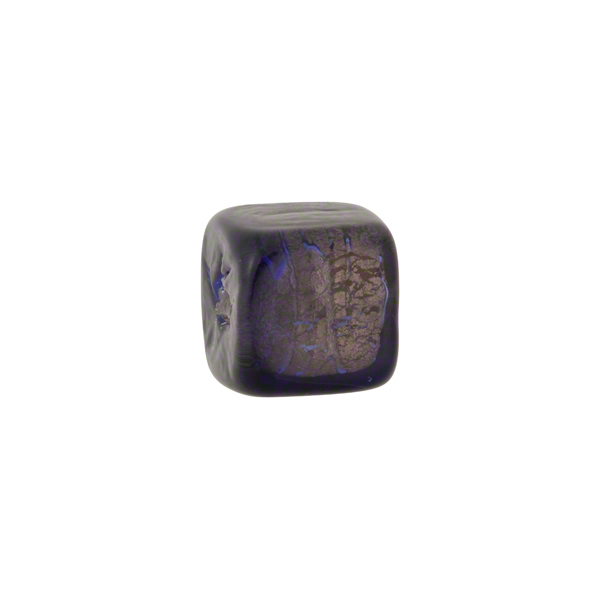 This bead is a great match for our bronze and pewter findings, a perfect blend of old and new.